I haven't painted my nails for about two weeks, mainly because I was lazy but also to let my nails have a breather. They were sort of getting dry and chipping off. This week's nail art is inspired by gabbysnailart on instagram. 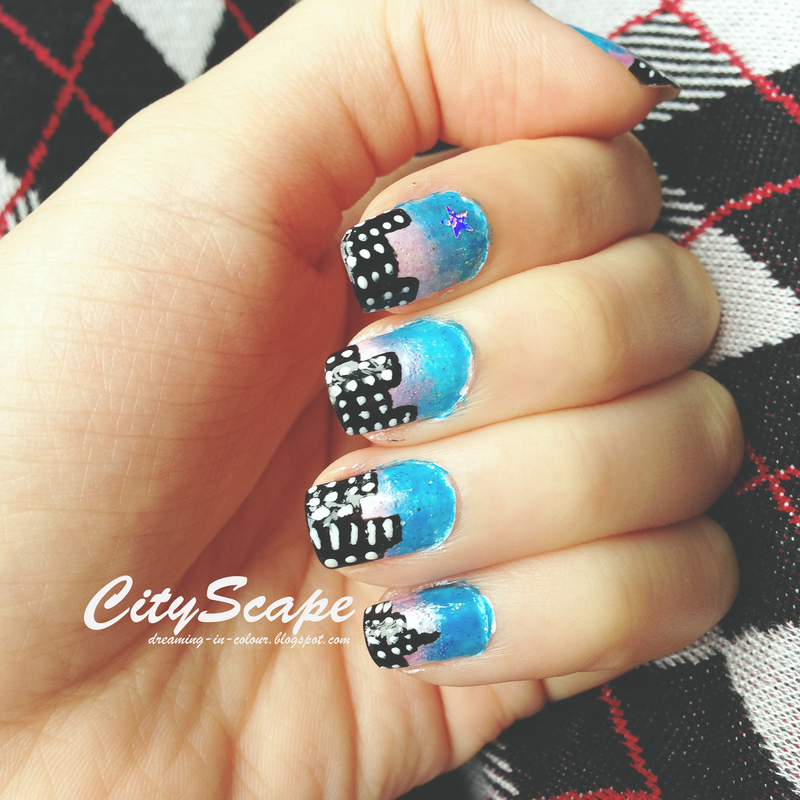 It features a blue and purple/pink ombre sky with a cityscape skyline. It is relatively simple and quick to do as well. I used a metallic purple for that extra sheen. 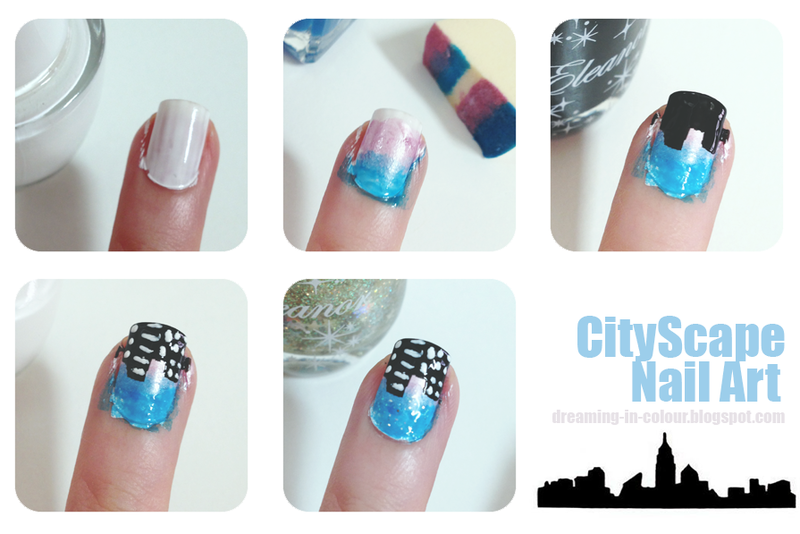 Using a sponge, paint on the blue and purple and sponge it onto your nail to create the ombre effect. Do this about two times to make the colour more intense and try to blend the colours. I dabbed some purple over the blue to blend the colours more. A coat of clear nail polish will also help to blend it. I really love doing ombre nails and combining it with extra designs such as this makes it even prettier. If you have any troubles doing this, leave a comment! I will definitely get back to you!